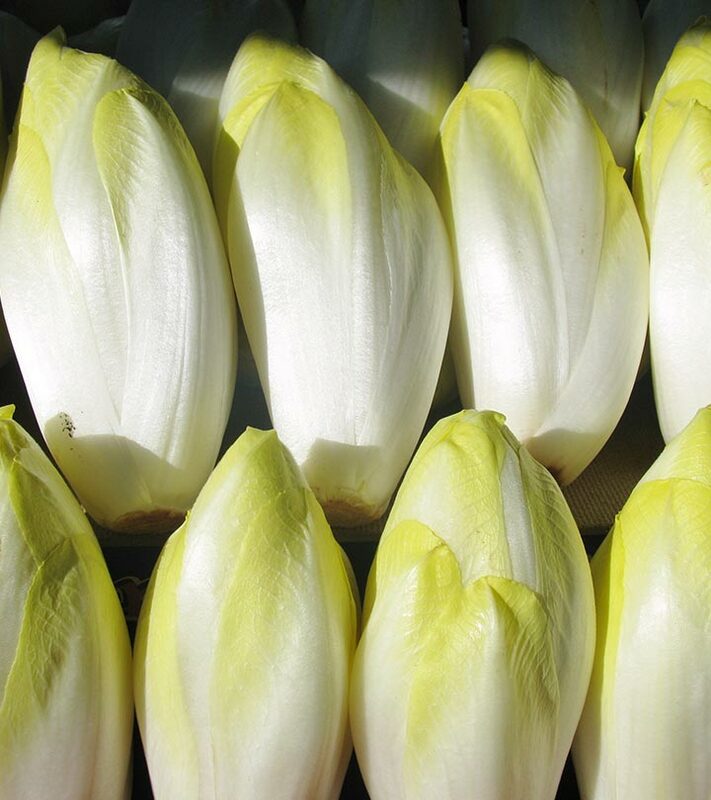 Endive, also known as ‘Belgian Endive’, is a green leafy vegetable with amazing skin, hair and health benefits. The plant, which is slightly bitter in taste, is widely available throughout the world. It is also known as ‘Kasni’ in Hindi, and’Cikkari’ in Tamil. Available in many varieties, they share multiple numbers of benefits for our skin, hair and health. Drinking fresh endive juice can be highly beneficial for your skin as it can help you get rid of acne. It can detoxify the body efficiently and keep the internal system clean. Being a good source of Vitamin E, endives can help you maintain the natural moisture of your skin. So, if your skin is dry, you must include it in your daily diet to hydrate your skin for a softer and younger looking skin. Scleroderma is a skin condition in which the tissues of different parts of the skin become hard. However, the Vitamin A present in the endives can treat the disorder and restore the natural texture of the skin. A hair problem is a common issue-thanks to the ever increasing levels of pollution. With endive, you can now heal your damaged hair and regain their health. The Vitamin A content of endives plays a key role in making the hair thick and strong. Being an antioxidant, it promotes the oil balance of the scalp and keeps it moisturized. As a result, the hair follicles do not get dried out and you get thick and strong hair strands. This green leafy vegetable can also give you long tresses with a beautiful shine. The Vitamin E present in endives helps in hair growth by boosting blood circulation to the scalp to make it healthy. Endives are filled with dietary fibers, which make them an excellent laxative. It is a good choice for dealing with various gastric issues successfully. Munching on endives right before a meal can stimulate your appetite too. If you are suffering from anemia, you should include endives in your daily diet. The disease is basically caused due to the deficiency of iron in our body. This green leafy vegetable is rich in mineral. Either drink it alone or prepare a juice by mixing parsley juice and celery juice with freshly prepared endive juice. It acts as a blood tonic that helps the blood creation process in our body and keeps us away from anemia. Anti-inflammatory in nature, Endives can put a stop to all sorts of respiratory infections, protecting you from severe disorders like asthma. Make a mixed juice by blending fresh endive leaves, celery leaves and carrot pieces all together. Drinking this juice regularly can help you in preventing asthma attacks. When it comes to uplifting your cardiac health, endives play a significant role. This veggie is low in saturated fat, which is good for the heart. It contains potassium, which helps in keeping blood pressure level under control. Furthermore, it holds natural polysaccharide insulin, which helps in lowering the low density lipoprotein (LDL) or bad cholesterol in our body effectively. All these contribute to the well being of our heart. Endives are also high in calcium, which is the most vital component of our teeth and bones. Inclusion of this vegetable in your diet can help you counterbalance the loss of calcium in your body. As a result, your bones and teeth get stronger and you can stay away from severe diseases like arthritis, osteoporosis, dental cavity, etc. Fresh endive juice can work as an amazing detox for your body. It can stimulate the gall bladder to secret the right amount of bile, which eliminates the toxic materials from the liver. Consequently, the normal functionalities of the organ are promoted to maintain the overall health. Nothing can be better than endives for keeping your eyes healthy and beautiful. Rich in all essential nutrients, this green vegetable wards off serious eye complications like cataracts, age-related macular degeneration, glaucoma, and so on. There is no need to live on strong powerful medications or go through expensive surgeries. Just drink endive juice every day and it is all. Considerably low in calories, endives are beneficial for people with excessive body weight. So, make sure that you include raw endives in your weight loss diet to make the most of your workout efforts. Drinking endive juice can also help you in your weight loss journey and take you there fast. Loaded with Vitamin E, endives, according to several medical studies, can combat the atypical degenerative neurological disorder called ‘Alzhemier’s disease’. In other words, frequent consumption of raw fresh endive can help you maintain a healthy neural system. Vitamin E is one of the most effective remedies for prostate cancer. Apart from Vitamin E, endives are also enriched with Vitamin A, which can prevent oral cavity cancer and lung cancer. The calcium content of the veggie provides protection from ovary and breast cancer. The dietary fibers present in endives are also good for fighting against colon cancer. 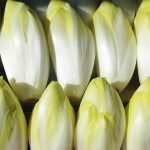 So, when are you going to include endive in your daily diet? Start today! Have you ever tried endives? Did it help your health? Do share your experience with us in the comments section below.